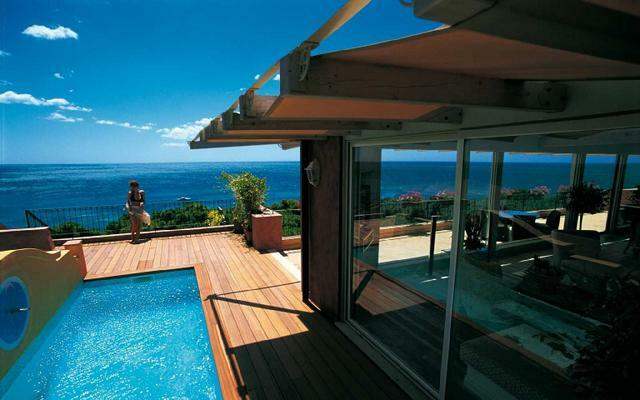 Sardinia is literally the pearl of Mediterranean Sea: a little piece of heaven where to spend the best time of your life. Handsome villages, rolling downs and the crystal-clear water of the white-sand beaches… this island is something unique. 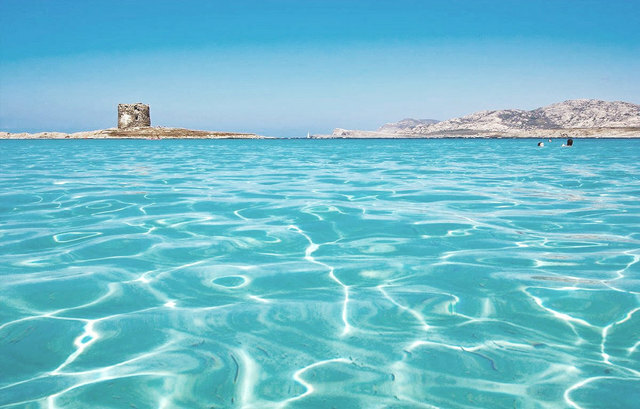 That’s the reason why I created this guide to your summer holiday in Sardinia! Enjoy! I spent my childhood here, and I can say, honestly, that this is one of the best beaches I’ve ever been to! I just spent a week here to unwind, enjoying my summer holidays with my lovely wife. La Pelosa is a paradise beach located at the foot of Capo Falcone, in the northern coast of Sardinia. Just in front of the wild Asinara Islandm the sand is extraordinary white and thin and the waters are transparent and turquoise. 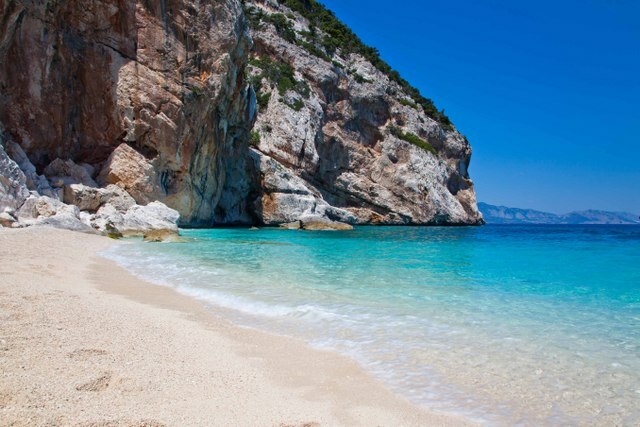 Located in the southern coast of Sardinia, Su Giudeu is among the most celebrated beaches of the Mediterranean Sea. Just in front of the shore, two islets stand between the turquoise transparent waters and can be easily reached by foot. 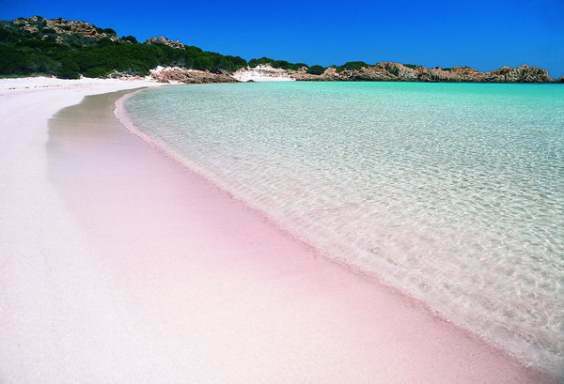 An incredible pink-sand beach, a little piece of Caribbean sea in the middle of the Mediterranean. The “Pink Beach” is a protected natural paradise, colored by microscopic fragment of corals and shells. The pink of the shore meets amazingly the blue of the emerald sea. From crystal-clear turquoise water, pristine beaches, untouched nature and stunning architecture to luxurious hotels, wellness centers, designer boutiques, world-class restaurants and exciting nightlife. For a memorable vacation, private event or wedding celebration that will satisfy even the most demanding traveler, discover one of the most iconic destinations: Costa Smeralda. 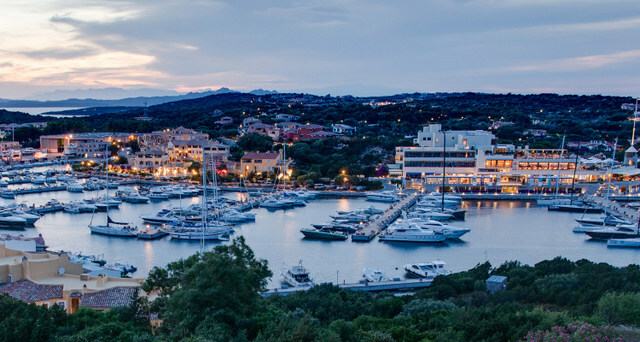 Porto Cervo is the main centre of Costa Smeralda. 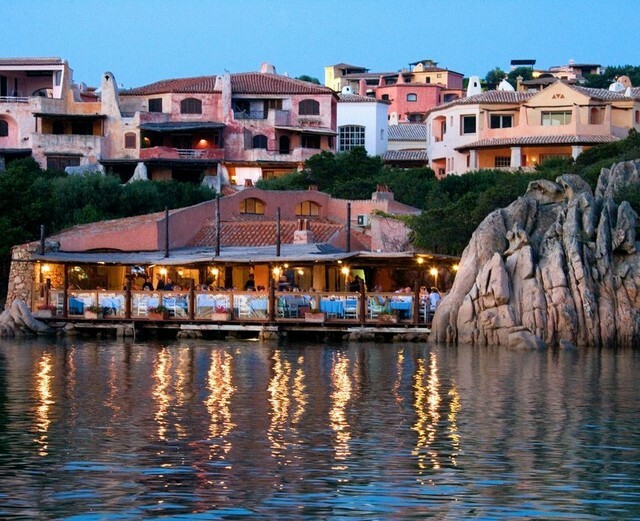 In 2011 Costa Smeralda had the second, the 4th and the 6th most expensive hotels in the world, the Pitrizza, the Romazzino and the Cala di Volpe Hotel. 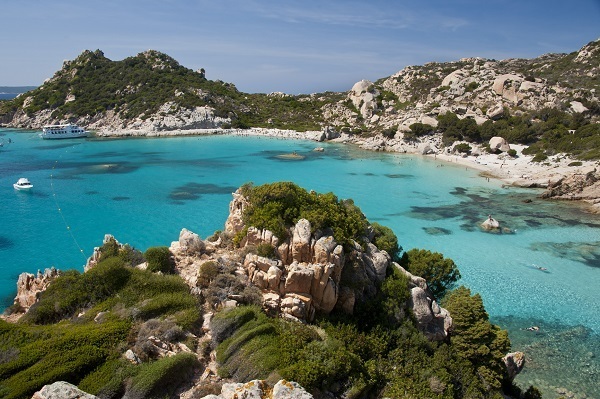 La Maddalena Archipelago National Park is a geomarine protected area consisting of a group of islands situated in the north-east of the coast of Gallura, in the stretch of sea between Sardinia and Corsica known as Bocche di Bonifacio. “. The Archipelago is part of the European network of areas of great environmental importance (Site of Community Importance and Special Protection Area) for the presence of habitats and creatures that seem to have come together to perform a unique show. 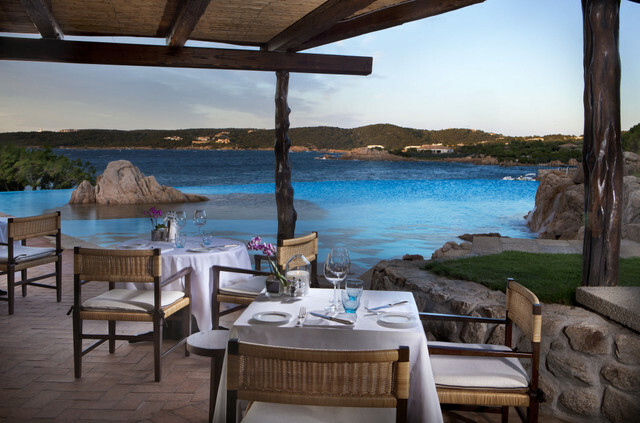 The only pieds-dans-l’eau restaurant in Costa Smeralda, Il Pescatore has established itself as a landmark restaurant in Porto Cervo for its refined selection of seafood dishes, stunning views of the port with precious yachts and the charming atmosphere. 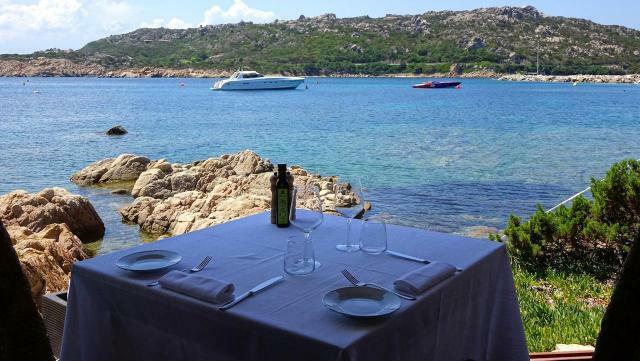 La Scogliera Restaurant is located in Porto Massimo, exactly in the archipelago of La Maddalena. You can taste the international best wines, sitting in teak terraces and privès, closer to the shore. You can also enjoy the cuisine and the spectacular nature of its location. It’s one of my favorite places in the world. Definitely. Hotel Cala di Volpe is the quintessence of the unique magic that has made Costa Smeralda the most glamorous natural playground in the Mediterranean. Its reputation has transcended legend, becoming the scenery for exceptional experiences: set of famous movies such as ‘007 The Spy who loved me’ together with couture fashion shows, society weddings and intimate celebrity concerts.